We accept cash and most major credit cards, and tips are always welcome for the artists. If you have any questions about a tattoo or piercing you are thinking about or would like to schedule an appointment please complete the form below and we will be in touch with you soon. 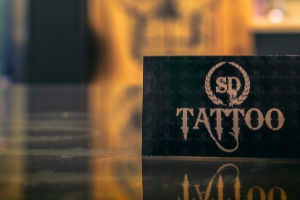 SD Tattoo has clients that travel from around the world. If you would like to book a consultation with one of our artists and you are not in the area, please complete the contact form above with your information and tattoo ideas. Someone from the shop will be in contact with you to discuss your tattoo in more detail.